The Roland Sands Design Barfly Perforated Leather Jacket is perfect for the Australian climate. 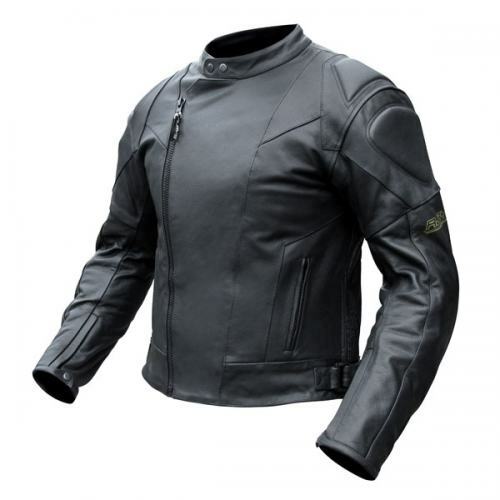 This great looking jacket is a progression from the RSD Barfly Leather Jacket with one important difference, its perforated to allow airflow while riding and while stopped. Perforations are along the main body and arms of the jacket to keep you cool. 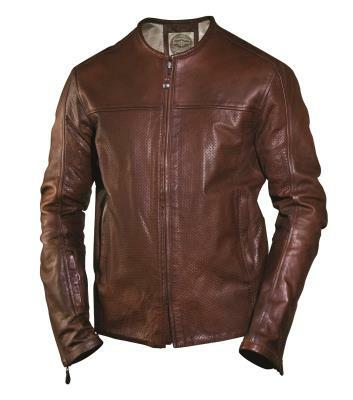 Made from top grain cowhide and perforated goat skin, the relaxed fit of this jacket make a comfortable good looking jacket which works off the bike as well as on it. The jacket comes armour ready with Shoulder, Elbow and Back pockets to slip a set of the Roland Sands Design Armour Kits straight in. If you want to wear leather through summer, this is the jacket tor you. Even better, right now, it’s on sale! The RSD Roland Sands Design Barfly Perf Leather Jacket – A Summer barhopper. The perfect jacket for Queensland. A breathable perforated leather vintage dirt track style jacket from Roland Sands Design. Roland Sands Design is a motorcycle, product and apparel company that has its roots in racing, custom bike building and design. Our inspiration comes from a high performance background that blends the love of two wheels with the desire to create unique products. We live the two wheeled life and our crew is a diverse collection of road racers, off-road, dirt track, supermoto and custom bike builders and riders. It’s this diversity that allows us to work with the best in the industry on a variety of projects. Our clients include Ducati, Dunlop, Harley-Davidson, Panasonic, Performance Machine, Piaggio, Polaris, Toyota, Triumph, Vance and Hines, Yamaha and many others.